Owning an iPhone is perhaps considered a status symbol in both Western and Asian cultures. Fake phones abound in the marketplace for those who cannot afford the real thing. Some counterfeit iPhones are now so similar to the original that Apple cannot even distinguish between the two, much to their loss. Two engineering students in Oregon, USA have been accused of defrauding Apple of close to US$1 million (S$1,353,400) by sending counterfeit iPhones for repair. Zhou Yang Yang and Jiang Quan are Chinese nationals studying in the US on student visas. Zhou and Jiang along with an accomplice based in China administered the elaborate scheme. The accomplice sent packages to the two students which contained the fake iPhones. The students then sent the phones for repair at Apple Stores, complaining that the phones are faulty or would not turn on. Since the phones would not turn on, Apple technicians could not check the phones for damage or if they were indeed authentic Apple products. Thus, Apple just sent replacement phones. The pair then shipped and sold the real iPhones in China. Jiang’s mother allegedly wired the profit back to her son in the US. The pair of students allegedly sent 3,069 repair requests to Apple Stores from April 2017 to March 2018. Apple discovered that some phones were evidently “tampered with,” but still completed 1,493 replacements. Sources report that the total cost of replacements amounted to US$895,800 (S$1,212,375). 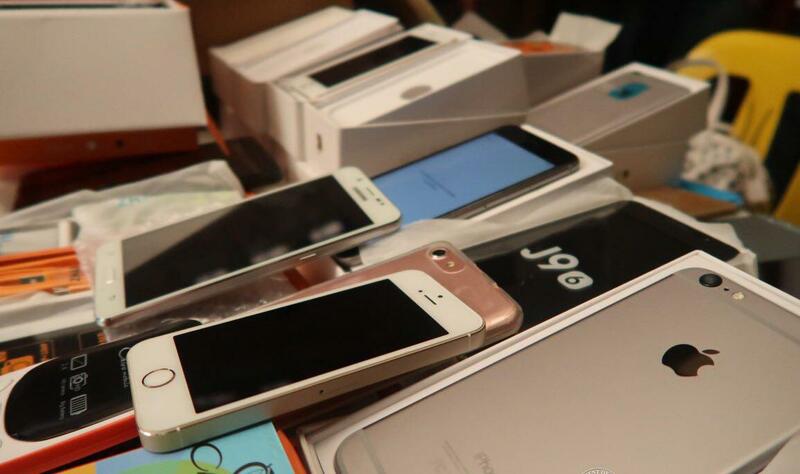 The counterfeit iPhones were so convincingly real that they fooled even Apple’s engineers.